The Ford Taunus was a family car sold by Ford in Germany. 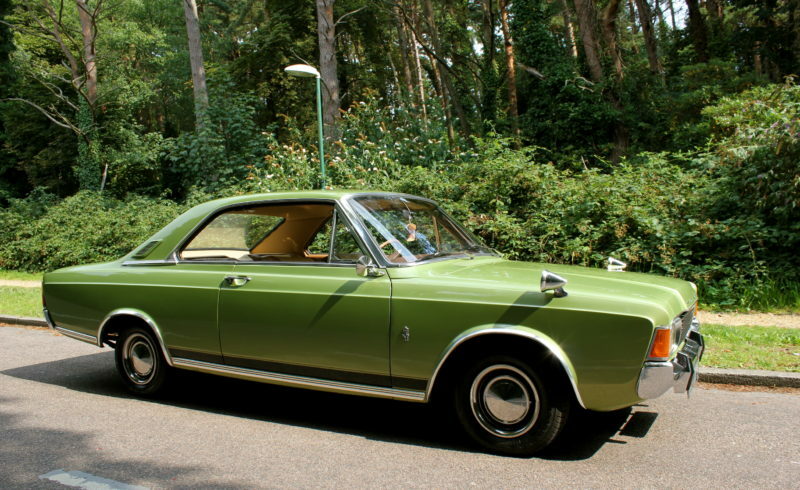 Models from 1970 onward were similar to the Ford Cortina, named after the Taunus mountain range in Germany it was first introduced in 1939 and continued through several versions until 1994. From 1952 to 1968 all German Fords were called the Taunus, using the model names 12M, 15M, 17M, 20M, and 26M. The “M” stands for “Meisterstück”, which translates in English to “Masterpiece”. The 12, 15 and 17M models were fitted with a straight-4 and later models a V4 engine. The 20 and 26M models had the Ford Cologne V6 engine. The 12, 15, 17 etc. refer to the engine displacement; 1200, 1500, 1700 cc etc. Major R.H Glue bought the Ford Taunus offered here new in 1971 since then the car has only had 4 previous caring owners, and as such is presented in fine condition. Very Rare right hand drive Example. The car was often taken to shows and has always had minimal dry use having covered just 224 miles since last MOT and 573 miles since the previous one. Between these dates it was serviced and maintained privately. A unique and rare car with only 4 Taunus variants registered with the DVLA this car offers the chance to own a unique, usable and interesting classic car.